An actress who has been seriously dedicated to her craft, Renee Zellweger has become known for many of her film roles throughout her career. Whether playing a lovable Brit looking for love or a murderous wife pleading innocence, this actress owns her character in the moment and completely charms her audience every time. A native of Texas, Zellweger has kept that southern charm through the years, not needing fame to keep her happy. She has endured harsh rumors and managed to stand up for herself, while at the same time maintaining the privacy that she has made a priority in her life. While she has maintained a sense of herself, here’s how this star has developed and transformed throughout the years. Zellweger was born in Katy, Texas in 1969. As she described during an interview with Vogue, she grew up as a “conservative child,” and didn’t truly find her passion for acting until she was older, attending college in Austin. And she wasn’t a snob to one genre — she liked all sorts of music. Zellweger explained, “I had older cousins in Norway who would bring records for me and my brother Drew to listen to when they visited…. The Beatles, Abba, the Stones…. Quite a mix!” This interest would later come in handy for Zellweger when she found herself in more musical roles on the big screen. 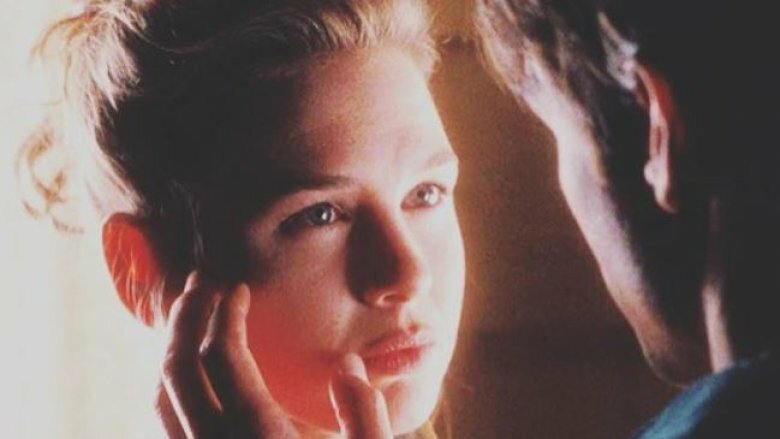 While Zellweger’s acting career began in the 1990s with Dazed and Confused a few other small roles, one of her biggest roles to date came in 1996 in the film Jerry Maguire. 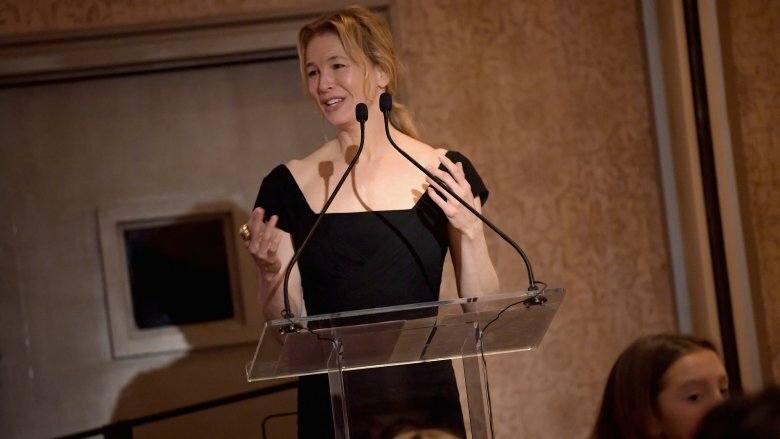 From the very beginning, Zellweger saw past the glitz and glam of fame. She reflected on the night of the Jerry Maguire premiere, sharing her memories on Chelsea Handler’s Netflix show, Chelsea (via Us Magazine). She wanted her parents to be at her big premiere night, but it wasn’t the magical event she originally imagined. She explained how hard that was, continuing: “They’re left there, and you’re moving around, shaking hands and taking pictures, signing things and saying hello. You have responsibilities that don’t include them. It’s like a distancing that they feel like they’re losing you in some way.” She called the shift to fame a “difficult transition,” and said that event made her “hyper-aware” in the future. 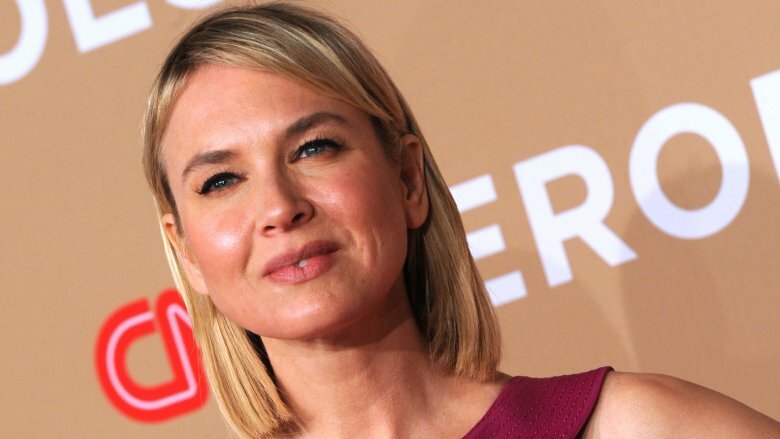 As reported in a profile piece by Marie Claire, Zellweger has been in some well-known romantic relationships. She dated Jim Carrey after working with him on the film Me, Myself & Irene in 2000 when the actress was 31 years old. Then in 2005, she met country singer Kenny Chesney at the Concert of Hope tsunami benefit. Romance swept up the couple, who married just five months later. Just four months after that, the 36-year-old had her marriage annulled, claiming fraud. As the magazine shared, this is a relationship Zellweger will not speak of, keeping that part of her life private. 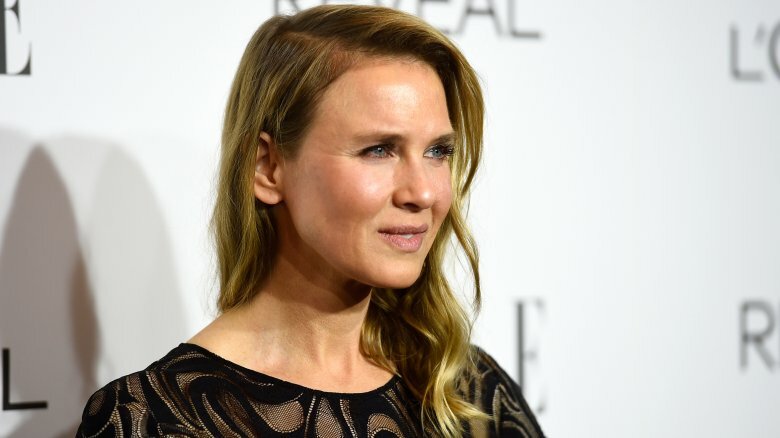 And although Zellweger has always liked to keep her life private, she has definitely been open when it comes to discussing age and growing older. In 2010, at age 41, Zellweger did something almost unheard of by an A-list actor in Hollywood — she took a break from the industry. So what did she spend that time off accomplishing? She wanted to to do it all. She also caught the travel bug during her break. She told with Vogue that she made her way through Asia with a friend — specifically mentioning her travels through Vietnam and Cambodia as special times away from the spotlight. In 2016, the 47-year-old made her way back to Hollywood and back in the familiar shoes of her character, Bridget Jones. While the star’s time away was what she wanted it to be, she came back still feeling the same way about her privacy. She didn’t want to share all of the moments of her life with the world. She received very little privacy when it came to her changing looks over the years. Rumors of plastic surgery spread. And for a celebrity who wanted to keep her private life as private as possible, she was put in a tough position. The Huffington Post piece is one clear example that shows this actress has a way with words. 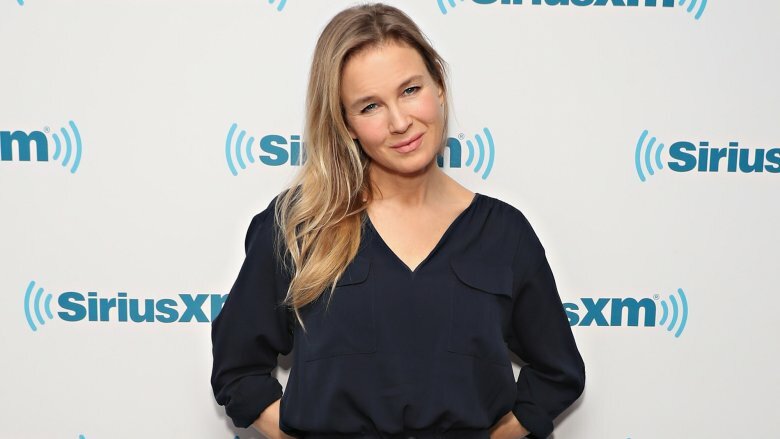 Writing is, in fact, one of the things Zellweger focused on most during her Hollywood hiatus — she took screenwriting classes at UCLA, and even co-wrote a pilot that got picked up by Lifetime.